Roy Irvine, The Open Group EMMMTM (Exploration, Mining, Metals & Minerals) Forum Director, attended the GMSG workshop in Johannesburg, held on September 20-21, 2017, in association with the South African Institute of Mines and Metallurgy (SAIMM). A total of 36 delegates attended, from 30 different companies, most of whom were suppliers to the mining industry. The purpose of the workshop was to give an update of the various GMSG work areas, which included the EMMM Forum work, under the work area ‘Common Reference Framework’. Roy’s presentation ‘The EMMM Models – Industry Reference Frameworks’ began by asking the audience ‘Who has heard of The Open Group?’. The response was three people, which was as expected. So the first ‘win’ was that now more people know of The Open Group and the different Forums. A lot of the previous presenters had discussed the use of Guidelines and Standards, but no one had discussed the differences between these and which companies produced each type documents – this was covered in the EMMM presentation. The presentation also showed how the term ‘Mining’ is too generic. Using the EMMM terminology in presentations and conversations can start to better establish which capability is being discussed. The use of case studies from different sectors of the industry also enabled the delegates that EMMM was not just ‘an IT thing’. Communication Infrastructure has shown that the requirements change throughout the mining lifecycle, but has not yet documented these requirements into details that could be used to create a Request for Information document. Short Interval & Real Time Control is being supported by Canada Mining Innovation Council (CMIC) http://cmic-ccim.org/ . Some of the goals of this overlap with those of EMMM and The Open Group Open ProcessTM Forum work, so contact will be made to introduce The Open Group to CMIC. The Open Mining Format highlighted the issues associated with a lack of standards in the Mining Software space, which can lead to issues when data is exported from one application. Issues identified were differences in color pallets, rotation points, precision, naming conventions etc. There is opportunity for participants in this work to learn from other Open Group work. Autonomous Mining – is one of the more active work areas that has shown practical use. But one of the areas still to be solved is a ‘Virtual Universal Remote Stop’ as each manufacturer’s control systems are currently different. This is key to allowing mining companies to have equipment from different manufacturers operating safely at the same time. Cybersecurity was identified as an increasing threat in Mining, and after the PDAC meeting in 2017, a non-for-profit organization (MM-ISAC http://www.mmisac.org/) has been created. They have IACI (https://www.certifiedisao.org/) and GMSG as partners. 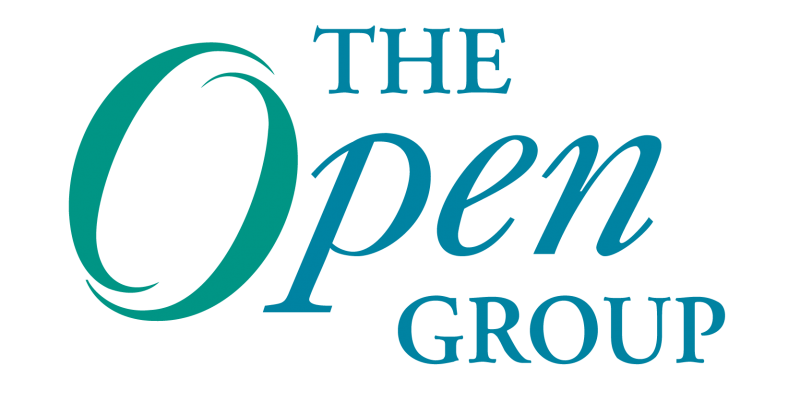 There would be an opportunity for them to be involved with The Open Group Security Forum. Enabling Digital Mining – GS1 (https://www.gs1.org/) – working with IBM and Microsoft to create standards on material tracking. They are currently working in Retail, Healthcare, Transports & Logistics, and Food Services and are interested in doing work in Mining. In conclusion, workshops such as this are a good way to introduce companies to The Open Group and to encourage membership. The predominance of suppliers over customers is still an indication that the hard rock mining industry is still reluctant to collaborate with their ‘competition’ compared to other industries. But with more exposure, this will hopefully change. Roy Irvine is a professional geologist with over 35 years experience across the mining value chain, and has had the opportunity to witness life as both a customer and a supplier within the industry. Irvine was fortunate to work for one company (De Beers) for over 25 years, which exposed him to the benefits of mentoring and coaching, in one’s career development. He is passionate about sharing ideas to improve the mining industry, through The Open Group EMMM Forum, to allow the new generation of mining professionals to continue to ensure that mining remains a key industry, worldwide in the future.